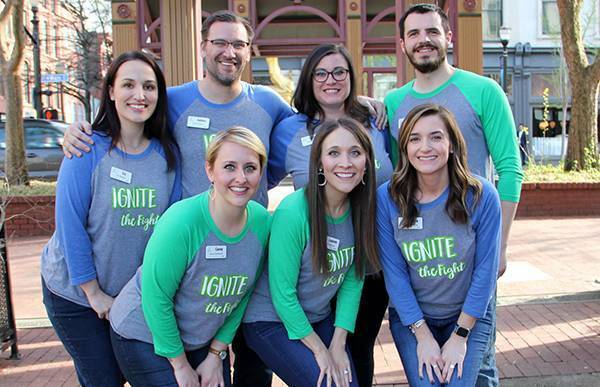 The 21st class of the Leadership Louisville Center’s Ignite Louisville program graduated on April 10, 2019, following a day of presentations to a panel of esteemed judges. The six teams put their work for local nonprofits on display in hopes of winning the Ignite Louisville Challenge and earning additional funds for the agency they worked to assist. The Non-Prophets team working with Louisville Youth Group was selected as the winner of the challenge and will receive the $1,500 prize. While one team was selected as the winner, all six nonprofit agencies received significant support, with the six teams contributing over 2,500 hours of service and providing over $350,000 in value to the nonprofit agencies. The Ignite Louisville program is presented by Norton Healthcare. The collaboration with the Louisville Youth Group (LYG), an organization that provides programming for LGBTQIA+ youth, was focused on increasing brand awareness across three key constituencies: LGBTQIA+ youth and their parents, the business community, and civic leaders. The brand awareness campaign centered on a revamp of the current LYG space and a related open house event. 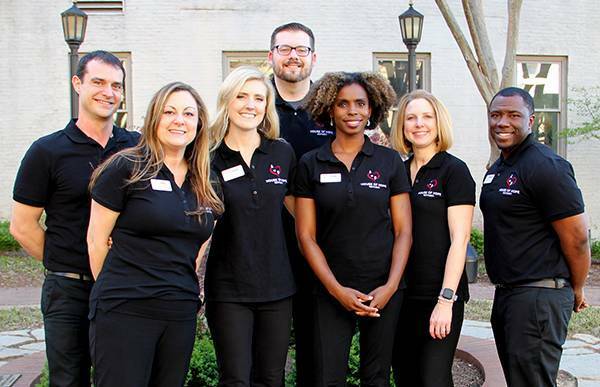 The team leveraged this plan as an opportunity to engage community and business partners, introduce them to LYG, and request donations for the revamp, thus growing awareness in the business community, and establishing connections for future involvement. In all, 48 businesses contributed to the project, resulting in a complete overhaul of the 2200+ sq ft space. The open house and reveal of the newly-improved space was widely attended by the community, and included speeches by Mayor Greg Fischer, Councilwoman Barbara Sexton-Smith, and was covered by four media outlets. The media coverage reached over 5 million people. The team also provided brand awareness support with a new logo for the Louisville Youth Group, which better represented their organization, and through the procurement of a Google Ad Grant. The Google Ad Grant provides $10,000 per month in paid search advertisements that will continue in perpetuity – allowing LYG to maintain their awareness long after the Ignite Challenge is over. Over 500 hours were dedicated to the project, with a value of over $80,000 delivered to the organization. Our Ignite Louisville team from Leadership Louisville Center is outstanding. They are a group of exceptional individuals with a broad set of skills, and a deep passion and commitment to their community. Their zeal for Louisville Youth Group is undeniable, and we will truly miss them when their time is finished. The work of the team has transformed our space into a home for our youth, solidified foundational policies, and drastically increased our visibility and reputation in the community. They have helped LYG achieve steps that could have taken years to complete if not for their presence, dedication, and enthusiasm. We hope they know that they will always be part of our family. The team paired with Girls on the Run Kentuckiana (GOTRK) provided over $30,000 in services and funds raised to help the organization promoting wellness and goal setting for girls in our community. As part of the project, the team kicked off a 12-day crowdfunding campaign which raised $12,706 for the nonprofit. In addition, they provided GOTRK with information for a signature event (per their ask), ways to enhance their Solemates team race fundraising program, created a social media plan and produced professional video. They hosted a casual friend-raising event at the start of their campaign to help introduce people to the organization and helped recognize the Executive Director Terri Tucker by nominating her for Louisville’s Business First, People You Should Know in Non-profit, for which she was selected. Over 260 hours were dedicated to this project for Girls on the Run Kentuckiana. The Ignite Louisville team definitely took the Girls on the Run Kentuckiana mission to heart and set out to positively impact as many girls in the community as possible. They were creative, hard-working, and exceeded their fundraising goal. They provided our organization with an amazing marketing video and innovative ideas for future fundraising activities and also helped us establish connections with valuable corporate sponsors. The team has been great to work with and we hope they will choose to stay connected with us in the future! The team working with House of Hope delivered over $90,000 in value to the nonprofit organization and together gave over 600 hours of service. Their outcomes involved strategic planning, organization development, and raised awareness and funds. The team provided earned media on several local TV stations and magazines and new marketing materials including a full-length promotional video, a new website, professional photography, a standard press release, marketing supplies, a new logo, and updated social media channels. They raised $8,400 from multiple fundraisers and helped House of Hope apply for and receive a $5,000 grant from the Gheens Foundation. To raise awareness in the community, the team secured sponsors and hosted an open house event with 200 invited guests. They did a full SWOT assessment of the organization, resulting in a clear strategy for the desired goal of franchising, succession planning, and a mission statement. They established partnerships that provide classes, yoga lessons and discounted YMCA memberships. They also secured mentoring services for the organization’s leader, including media coaching, executive director mentorship, and Governance & Advisory Board development. Finally, the team established a budget, a tracking database to record successes, and a mailing list of potential partnerships and donors. I cannot say enough about our Ignite Louisville team. You came out running and never stopped! Your motivation and endless hours of work during this project have been an inspiration not only for me but also to the women we serve. The benefits received from your gifts and talents have been invaluable. You have truly given House of Hope the ability to reach more people, increase awareness and so much more. You are amazing! 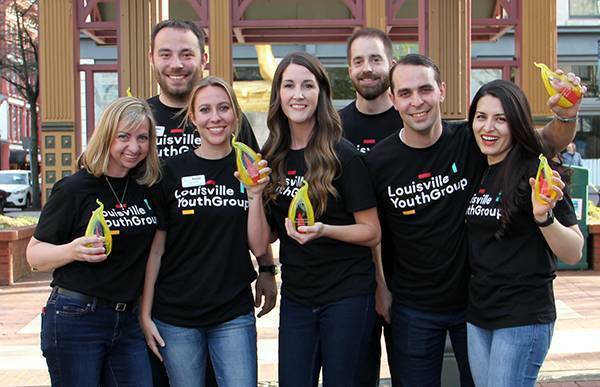 The Louisville Free Public Library Foundation charged the team with enhancing their ability to engage and fundraise with a broader community (particularly a younger demographic) around existing programming. The team focused on three key areas: participation, advocacy, and fundraising. They organized five preview “hard hat” tours of the Northeast Regional Library to showcase the new innovative Maker Pavilion including a demonstration kitchen and audio/visual studio. After the evening tours, two happy hour socials were planned at Holsopple Brewing where patrons learned more about library programs and the tremendous need for library services. The team developed an event checklist, script, and plan based on the success of the preview tours and socials for the Foundation. Donations to the Foundation were accepted through both Text to Give and the new Monthly Giving Program created by the team. They created the Page Turners program encouraging donors to make sustainable monthly gifts to the Library Foundation and help write the next chapter in the story of the Louisville Free Public Library. In its first month alone, there have been 14 donors to the Page Turners Program. 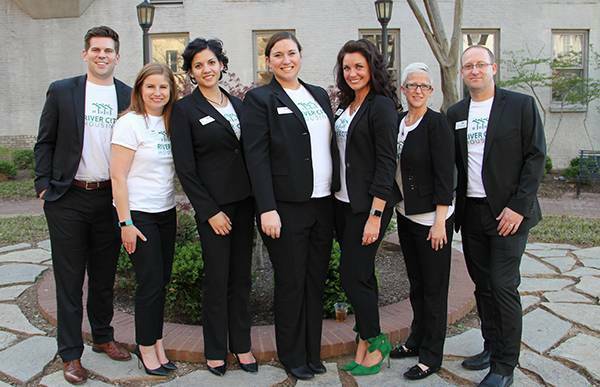 Finally, the team collaborated with the Friends of the Library to create a Young Professionals Advisory Committee to continue the work the team began, providing volunteers to staff social events, social media management, and donor engagement. The Ignite Louisville Team came to the Library Foundation with energy and excitement. They listened to our story, asked great questions, and accepted a challenge to create an infrastructure by which the Louisville Free Public Library is understood as an asset our city should value and support. This team has gone beyond our original request of greater outreach into specific demographics and is building a foundation of collaboration between organizations that will serve our public library for years to come. This comes at a time of significant funding risk for our public library, so their work couldn’t be more important or appreciated. River City Housing is a small nonprofit that restores rundown and often abandoned properties to build homes for first-time, low-income homebuyers. Initially asked to help the organization recruit and retain talent and to diversify their funding sources, the team found that to develop the organization, they had to create a strong foundation and establish a framework for all staffing and operations. To do this, they created relationships with hiring agencies for labor, local universities for interns, and overhauled the bylaws of the organization to prepare them to attain well-networked board members and revamped their Standard Operating Procedures to clearly define staff roles and expectations. Already, River City Housing has used these tools to hire six new employees and are interviewing a summer intern. The team also created new marketing materials including a logo and a new website that can accept online employment applications as well as online offers of time, talent, and treasure. They created a “pitch book,” to expedite creating presentations for meetings with investors, and a list of potential donor organizations. They will continue to foster relationships and help the organization acclimate to the new operations as they focus on continued sustainable growth. “Wow! Our Ignite Louisville team called themselves ‘Seven Wonders’ and certainly lived up to their name! To be considered a “Wonder of the World” it requires accomplishments that not only had never been achieved before but achievements previously unimagined. That accurately defines the results that River City Housing received from our Seven Wonders team. They consistently went above and beyond on our behalf and accomplished more than we could have imagined. Seven Wonders shared their unique skills, knowledge, time, and resources to help improve the lives of those we serve and build our capacity as an organization to continue doing so more efficiently and effectively going forward. More importantly, they are seven wonderful people that made each of us better and for that, we are very grateful. 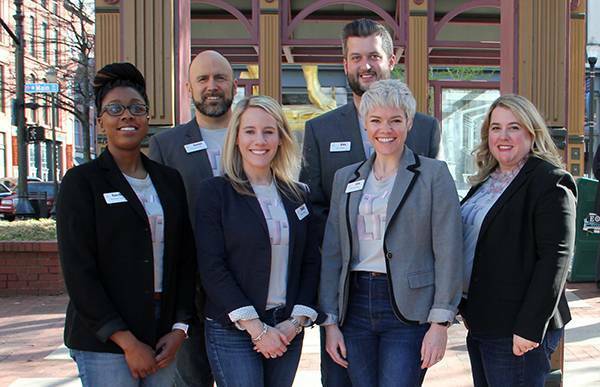 Back row: Liz Morgan, Courier-Journal Media; James Halaris, Brown-Forman Corporation; Cassidy Hyde, Make-A-Wish Ohio, Kentucky and Indiana; Luke Rebholz, Messer Construction Front row: Casey Stallsmith, Hosparus Health; Lauren Johnson, Louisville Tourism; Maria Pepitone, Humana Inc. The team partnered with Smoketown Family Wellness Center (SFWC) to join in the fight to improve the health and well-being of children living in Louisville’s Smoketown neighborhood. The team helped SFWC develop deep, meaningful partnerships with local organizations to meet the needs of the community, including Big Brothers Big Sisters and Seed to Oaks, and created a blueprint for hosting community-based events to increase awareness and engagement. Additionally, the team arranged for several facility improvements which allowed SFWC to enhance its services. As a result of these improvements, SFWC is now able to host diabetes management classes and provide a fresh food pantry, in partnership with Dare to Care. The team also facilitated the reorganization of SFWC’s board into focused “task forces” and submitted an Encore Louisville application on SFWC’s behalf to assist with board and staff engagement. The team’s work culminated with SFWC’s Spring Open House celebrating its one-year anniversary, which hosted over 150 guests and significantly enhanced the community’s awareness of SFWC and the services it provides. Over 380 hours were dedicated to the project, with $24,700 in value delivered to the nonprofit organization. Applications for the next classes of Ignite Louisville will open in Summer 2019. 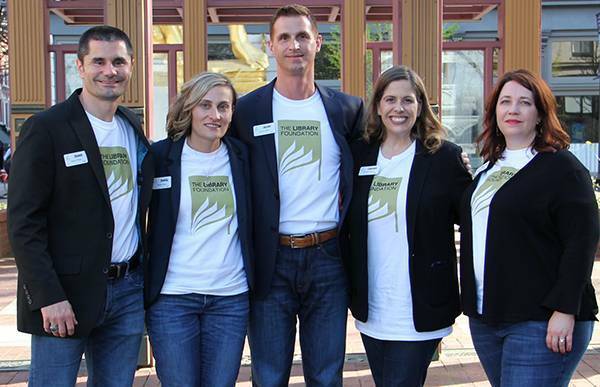 Nonprofits, learn how you can benefit from Leadership Louisville Center programs. The next opportunity to submit a proposal to work with an Ignite Louisville team will be in Summer 2019.